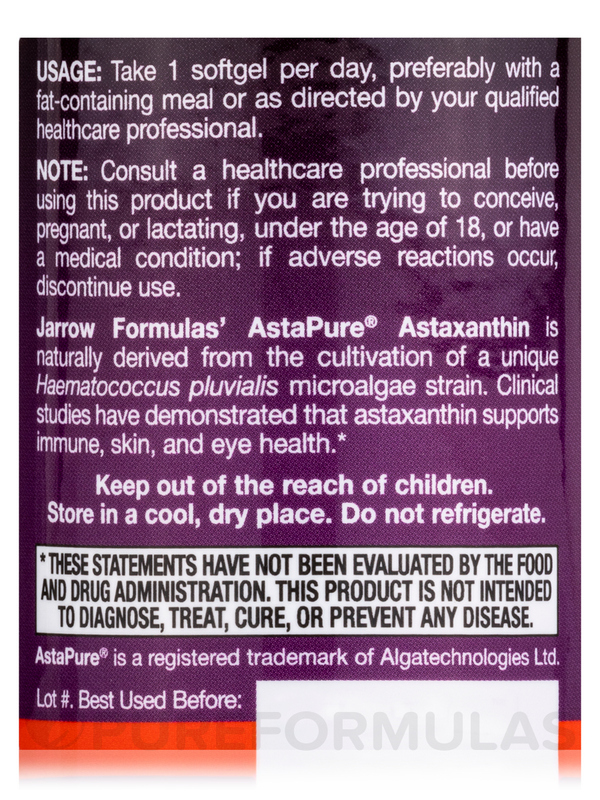 Astaxanthin is a natural antioxidant carotenoid derived from the cultivation of the microalgae Haematococcus pluvialis. 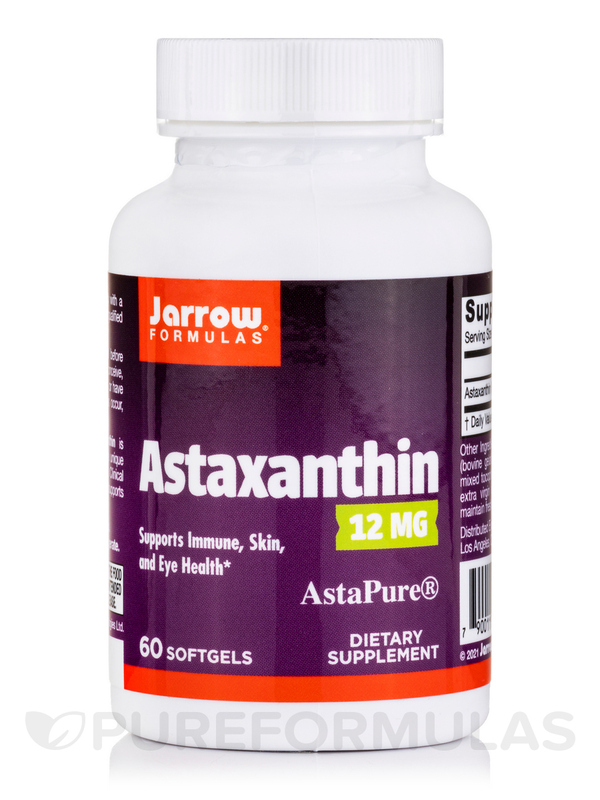 Clinical studies have demonstrated that Astaxanthin supports the skin (during exposure to a normal amount of sunlight)‚ eyes and immune health. 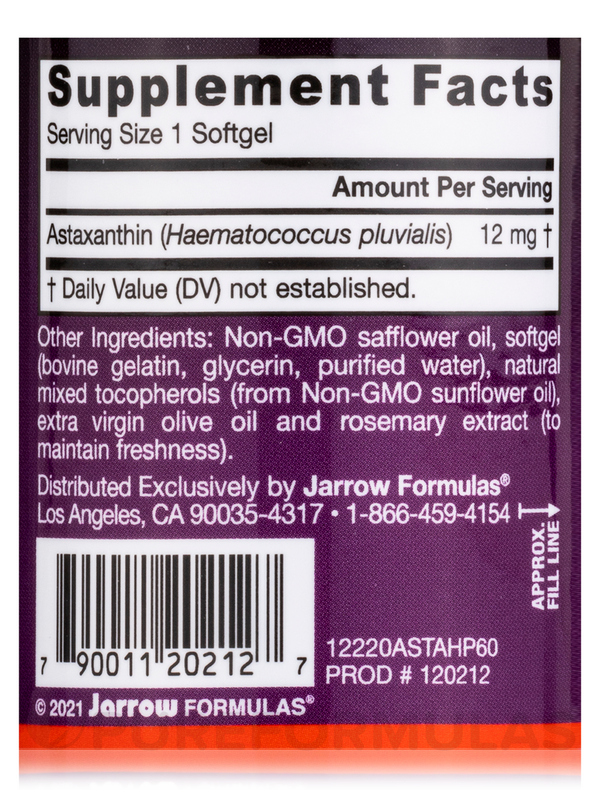 Other Ingredients: Non-GMO safflower oil‚ natural mixed tocopherols (from Non-GMO sunflower oil)‚ extra virgin olive oil and rosemary extract. 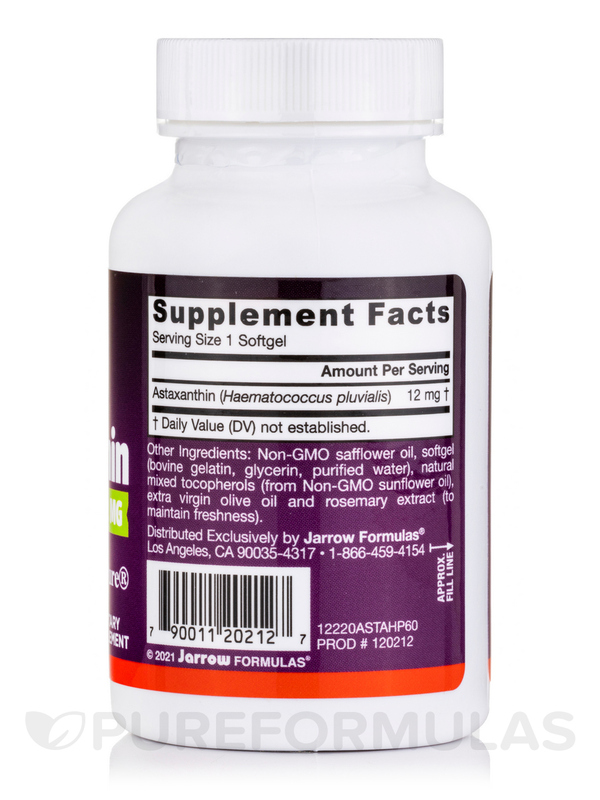 Softgel consists of gelatin‚ glycerin and purified water. 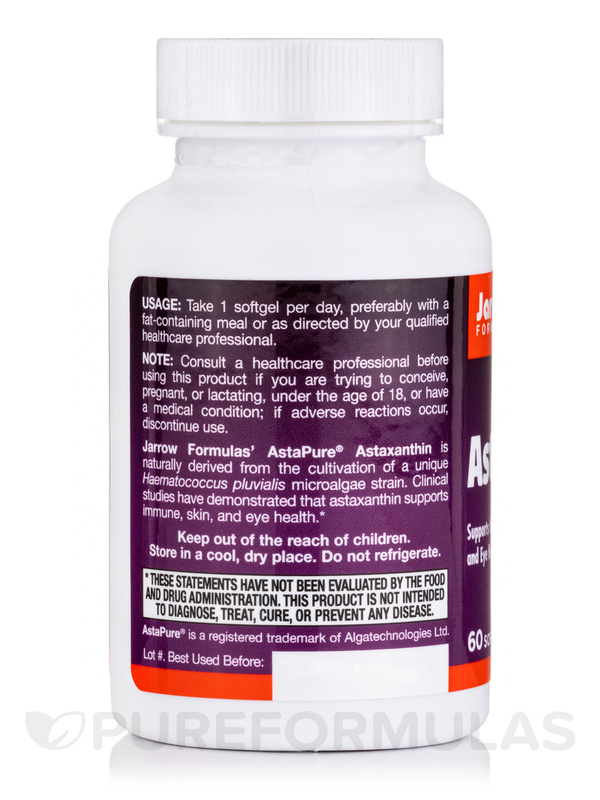 Take 1 softgel per day‚ preferably with a meal or as directed by your qualified healthcare professional. Store in a cool‚ dry place. Do not refrigerate.